The expert group concludes that the case shows systematic shortcomings in the composition and function of the research group and an almost dysfunctional research environment. There have been no proper meetings and people have come and gone, often on unclear grounds. This circumstance is probably one of the main reasons for the shortcomings [the] research shows. The Expert Group strongly criticizes the research culture found in the group around Suchitra Sumitran-Holgersson. On request of the University of Gothenburg, the Expert Group at the Swedish Central Ethical Review Board (CEPN) has issued an opinion in relation to matters under internal investigation at the university. This opinion is now added to the ongoing investigation by the ‘Council for matters concerning investigation of suspected misconduct in research, research in the arts or development work at the University of Gothenburg’. As the next step, the opinion from the Expert Group will now be sent to the University of Gothenburg affiliated researchers named in the document and they will be given the opportunity to comment. Hereafter ‘The Council for matters concerning investigation of suspected misconduct in research, research in the arts or development work at the University of Gothenburg’ will state their conclusion in an opinion to Vice-Chancellor Eva Wiberg who, based on that, will make a decision in the matter. There is yet no formal verdict in this matter. I admit carelessness in the preparation of these manuscript, and I take the full responsibility for the mistakes. I categorically deny any willful manipulation of data. If the Vice-Chancellor makes a decision that scientific misconduct has taken place in the matter, the university will inform the relevant scientific journals of the findings and the university decision. “Transplantation of an allogeneic vein bioengineered with autologous stem cells: a proof-of-concept study.” The Lancet, 2012. Cited 70 times, according to Clarivate Analytics’ Web of Science. …although the explanation seems strange, it can not be determined that it is false. The Lancet paper — one of the two papers the Expert Group says should remain part of the scientific record — reports transplanting a vein graft using donor tissue seeded with a patient’s own stem cells. This procedure may sound familiar — another investigator, Paolo Macchiarini, has been under fire for years after he claimed success with a similar procedure transplanting trachea seeded with autologous cells. 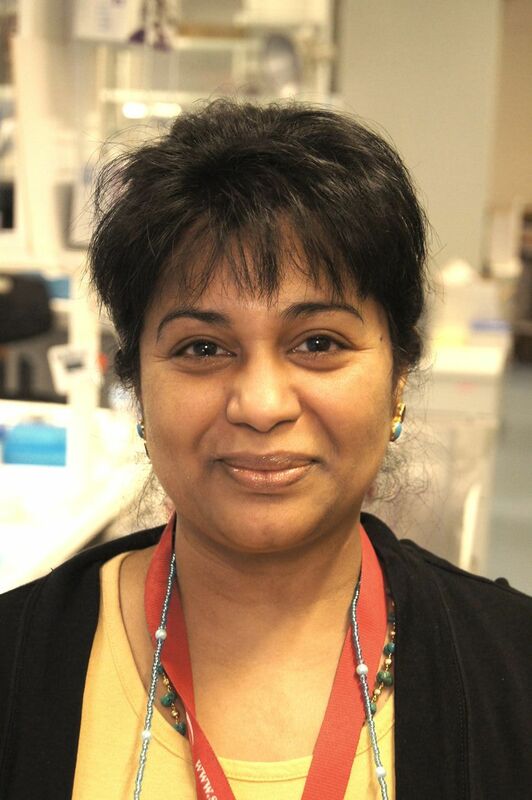 Both Sumitran-Holgersson and Macchiarini were once based at the Karolinska Institute, which also investigated Sumitran-Holgersson before she transferred to Gothenburg. In 2016, a spokesperson for the Swedish government told us it had launched an investigation to rethink how it handles accusations of misconduct. Sumitran-Holgersson has already lost one of the eight papers recommended for withdrawal after she asked the journal to swap out an image that was duplicated by mistake. Instead of letting her correct the paper, however, the journal opted to retract it. Phenotypic and in vivo functional characterization of immortalized human fetal liver cells. Pradeep B Patil, Setara Begum, Meghnad Joshi, Marika Kleman, Michael Olausson, Suchitra Sumitran-Holgersson. Scandinavian Journal of Gastroenterology 49 (2014): 705-714. 3 cites. Corrected in 2016, citing incorrect image files. Isolation and characterization of human primary enterocytes from small intestine using a novel method. Priti B Chougule, Gustaf Herlenieus, Nidia Maritza Hernandez, Pradeep B Patil, Bo Xu, Suchitra Sumitran-Holgersson. Scandinavian Journal of Gastroenterology, 47 (2012): 1334-1343. Corrected in 2016, citing incorrect image files. 13 cites (including 6 after the correction). Chemokine-mediated robust augmentation of liver engraftment: a novel approach. Meghnad Joshi, Mihai Oltean, Pradeep B Patil, David Hallberg, Marika Kleman, Jan Holgersson, Michael Olausson, Suchitra Sumitran-Holgersson. Stem Cells Transl Med, 4 (2015): 21-30. 1 cite. Characterization and engraftment of long-term serum free human fetal liver cell cultures. Författare: Setara Begum, Meghnad Joshi, Monica Ek, Jan Holgersson, Marika I Kleman, Suchitra Sumitran-Holgersson. Cytotherapy, 12 (2010): 201-211. 8 cites. CD271 identifies functional human hepatic stellate cells, which localize in pen-sinusoidal and portal areas in liver after partial hepatectomy. Pradeep B Patil, Meghnad Joshi, Vijay Kumar Kuna, Bo Xu, Liza Johannesson, Michael Olausson, Suchitra Sumitran-Holgersson. Cytotherapy, 16 (2014): 990-999. 7 cites. Elsevier issued a “temporary removal” notice, date unknown. Successful tissue engineering of competent allogenic venous valves. Vijay Kumar Kuna, Antonio Rosales, Jonny Hisdal, Eivind K Osnes, Jon 0 Sundhagen, Henrik Bäckdahl, Suchitra Sumitran-Holgersson. Article not indexed; corrected 2/5/2017 to replace an image that was “mistakenly” duplicated. Update 16:37 UTC on March 19, 2018: The story has been updated to include comments from Sumitran-Holgersson.